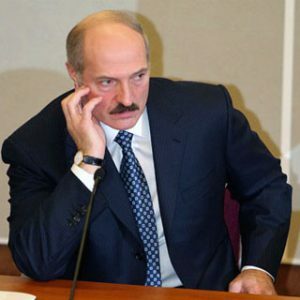 BelarusDigest > All > How Long Can the Belarus Ruler Last? The unprecedentedly brutal court sentences against democratic activists who protested the falsification of elections in December have two goals. It is widely believed that these people will be used as hostages used for future trade with the West. However, it is also an attempt to decapitate the whole infrastructure of the Belarusian opposition. Through incarcerating key figures and injecting fear, the government is taking the nation to a pre-1989 level of obedience and timidity. There are serious reasons why the authorities fear any organized protests; in particular, the grave economic crisis gripping the country, arising after more than a decade of relative economic prosperity thanks to Lukashenka's policy of reprocessing cheap Russian oil and selling it to the West. Sharp economic decline is often the necessary but insufficient condition for revolutions. Deliberately or instinctively, the Belarusian leadership is going after would-be revolutionaries to avoid such a scenario unfolding, since crowds of angry impoverished people pose a reduced risk until they are organized and their moves coordinated by some social and political activists. No wonder then, the Belarusian leader referred this month to the figure of a would-be Soviet strongman from early 1980s, "we have the Soviet experience of the Andropov times. Regardless if one likes it or not, but that is approximately how we shall make everyone to work". The Belarusian government has been rather successful in neutralizing its opponents, as political developments from this spring have shown – the opposition failed to organize any of its traditional rallies and marches for the season. And spring has traditionally been the most active time for the Belarusian opposition. Presently, the aspirations of the democrats are pinned on Western help. Therefore, as tension and crisis begin to consume the country more and more, the political struggles will be waged amongst the ruling elites, and not with the opposition. The regime, lacking any serious ideological cohesion, clearly has many potential enemies within it. The current situation shows the ruling elites that the country is on the brink of collapse if the political and economic lines taken held by Lukashenka remain the same. At a recent meeting of ideological cadres the Deputy Director of Presidential Administration Aliaksandr Radzkou plainly stated that the hard times were coming, and now we would see who was here for their own selfish interests and who were true believers. Yet such believers are an extinct species even among well-paid state employees. So even the ruling elites may split very quickly once the circumstances worsen. Of course, Lukashenka's new opponents within the regime are unlikely to be liberal democrats. Many members of the ruling establishment clearly adhere to a more flexible model than the one exercised under Lukashenka’s strong-handed policies. They would prefer technocratic modernization in the style of the Far East, without the ideological experiments of the current regime. References to authoritarian Chinese, South Korean or Singaporean models are commonplace among these people. At some point they may view Lukashenka's reign not pragmatic enough and arrange – most likely with help from Russia – some kind of leadership change. Their goal would be to avoid confrontation with neighboring countries, and limit spending on unnecessary image projects such as ice hockey palaces in Belarusian towns. The games with foreign currency rates have made most Belarusians, including the bureaucrats, nervous. If it continues as predicted, the levels of impoverishment will be even more widespread and may lead to social unrest. Elites will be affected by both current volatility and a fear of losing their positions and privileges. If the opposition were to come out in tandem with the general populace, it would not matter how organized such a movement would be. So far government officials have only exacerbated the situation and public dissatisfaction with its performance by preferring not to admit to existing problems which have grown. This cynicism shown by Belarusian officials has reached new heights following their handling of the currency crisis. Beginning in the 1990s, the US dollar and euro became for most Belarusians the most popular kind of currency savings as well as a means of payment (for rent or large purchases) making the issue of the foreign currency deficit an essential topic for nearly every Belarusian today. No doubt, Belarus is not insolvent. There have been very few enterprises sold so far, and there are many pieces of property, which would easily attract the attention of many investors, among them; refineries, the chemical industry, potash company to name but a few. Yet, options for the Belarusian government are limited. At the Warsaw conference on 5th of May, Swedish Foreign Minister Carl Bildt pointed out that a major problem for Belarus is “a very, very big economic crisis”. He added that it would not be such a problem, if there were investors and foreign partners willing to work with Belarus, if it had a good credit rating and could loan money at reasonable rates. Yet no one is willing to invest in the Lukashenka regime. According to Bildt, the Belarusian government's hope for Russian assistance is groundless. “No one, I would emphasize, no one wants to put his money into a 'black hole', which is Belarus. Neither from the West, nor from the East”. According to him, Lukashenka will have to turn to the international financial institutions for help, which the United States will resist. “And we will establish very strict conditions and will carefully watch the government's behavior. Belarus is in a very, very desperate economic situation”, warned the Swedish official. Clearly, ‘stable’ is not an appropriate word to describe the Belarusian situation today and the government is losing its control. It will be crucial to see whether Europe will be able to use this situation and impose and then follow up on those strict conditions mentioned by Carl Bildt.